How to create measurement points on a PCB for diagnostics? 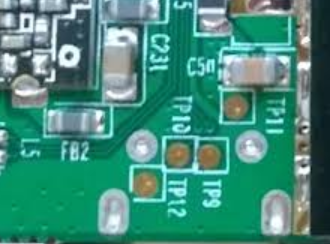 What is the best way to implement a point on a PCB, where a voltage (e. g. output of a regulator) could be measured with multimeter for the purpose of verification of the assembly or diagnostics in case of malfunction (preferably in Eagle)? This is quite a common thing to want to do, and really helpful for checking voltages. A test point is really just a plated hole, perhaps with some nice labelling. Eagle has a library called testpad which contains holes and pads in all shapes and sizes with a nice schematic symbol. When placing test points I'd recommend laying them out on a 0.1" global grid which means that if you have several near to each other you can use some Veroboard with pogo pins attached to make a simple test fixture. There are multiple ways to deal with adding testability features to a board. 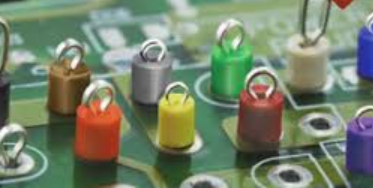 These will work in any CAD package designed for PCB Schematics and Artwork. First step is to define a schematic symbol to represent a one pin device called a test point. Place an instance of the designed test point symbol on the schematic and then connect to the a desired circuit node. You can use named node connections or use the schematic connection lines. Repeat for all nodes needing testability access. Produce a net list from the schematic so that it includes the test points as designed into the schematic. Design a layout symbol that is a single pin component that will be your test point component. Here is where some variation can come into play. 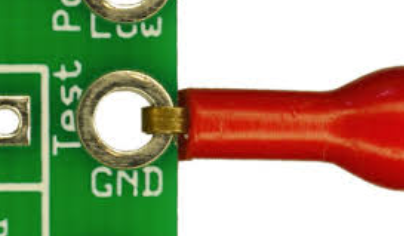 (A) use an SMT pad for a test point. Advantage is that they only take space on one side of the board. (B) use a ThruHole pad with suitable sized plated hole. 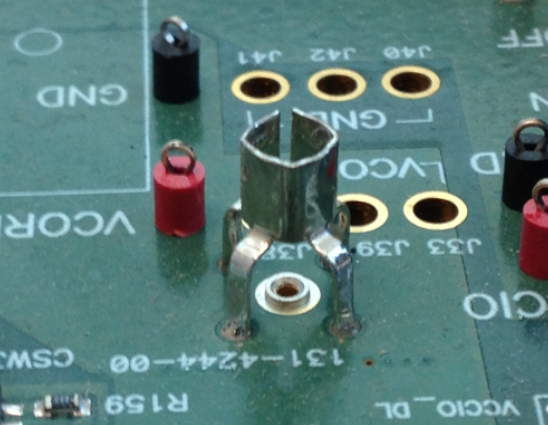 One advantage of a through hole pad is that it can make it easier to poke a multimeter probe in place. (C) use a larger ThruHole pad with a hole big enough to accommodate a grabber or scope probe hook. These would be place close to the edge of the board so that it is easy to connect to. (D) make a footprint for an actual commercial test point component that gets mounted on the board. The footprint could be SMT or THMT depending upon the type of test point you choose. The key advantage of this type of test point is that a grabber probe can be placed and will stay connected during your measurement process. The disadvantage is the added BOM content and incremental component cost. When placing components on the board include the test point component just like any other component. When you import the net list into the layout the connection of the test points by reference designator will be attached to the desired circuit nodes. Move the test point into the desired position and then simply route a trace connection to target component lead. When using SMT pads for scope probing it can be beneficial to locate adjacent GND pads nearby so that the ground reference of the scope can be as short as possible. 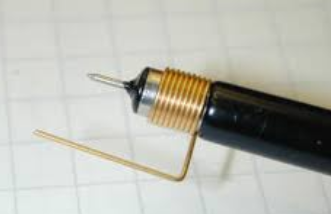 There are available scope probe GND leads that look like the following picture and made so they are flexible but hold shape. Plan the SMT pads accordingly. Sometimes it may be desirable to use a specialty test point component that allows for direct plug of a scope probe. 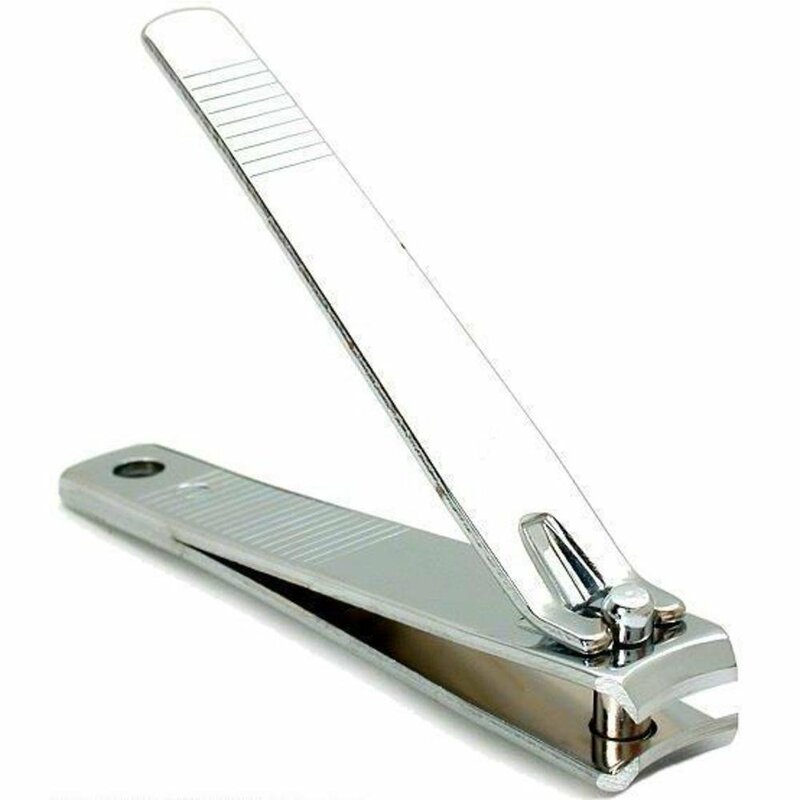 These are typically a two part assembly that has a center socket pin and and a separate three or four legged ground clip. This is from a "hobby electronics" point of view. Your number of hands is limited, and debugging things often requires messing with stuff and pushing buttons while holding probes, and a few minutes later you find yourself holding multimeter probes between your teeth. This aint good. Get a bag of these 0.1" headers from aliexpress for $2. Now, you put plated thru pads on your PCB to use as test points. Your PCB design tool should have a testpoint footprint, if it does not, use the footprint for a 0.1" connector with 1 or 2 pins. Obviously the only things you will need to test will be nodes where you did NOT add test points, but these 0.1" headers solder very well to some SMD pads like resistors if you're careful. On a TQFP200, forget it. Anyway, get these "arduino signal cables" (often called "Dupont" cables) which mate with your male pins. Good! Try to get them long enough, cut off one female end, add a banana instead, and stick them in your multimeter. This will free your hands! This is practical when you need to test and also tweak the code at the same time. Now, for faster signals (ie, using your scope) this won't work very well, fortunately a scope probe latches pretty well on the 0.1" headers. 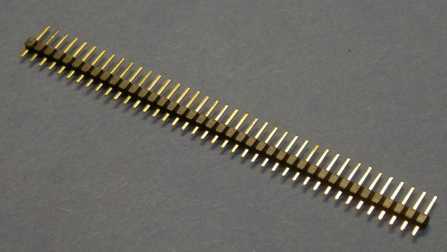 It is also common to add zero ohm resistors or a 2 pin 100 thou header with a jumper on all your power rails. This allows you to measure the current of a particular device or subsystem. Or characterize the upstream power converter. Inline resistors on shared buses can also be handy for troubleshooting, as you can pull devices off the bus. Use two holes 100 thou apart for each point, make loops out of all your component wire offcuts, and solder them in. Try going for a round bend, eg around a small screwdriver shaft, and solder them into the board as the first thing, placing component side on something heatproof. For RF, low level audio or fast digital (TTL and above) test points, create a ground test point VERY NEAR it so you can connect a scope without picking up more ground loop interference than signal. Not the answer you're looking for? Browse other questions tagged pcb-design eagle troubleshooting or ask your own question. How to create measurement points on a PCB for MIPI lane diagnostics? Eagle PCB: how to get BOM from a library part? How should I connect / design this tactile push button on PCB & schematic? How do I get VCC and GND pins on a PCB using an Eagle schematic?